Since 2004, Spooked in Seattle Tours has been telling the REAL stories of haunted Seattle, taking you inside, and presenting evidence collected on actual paranormal investigations! 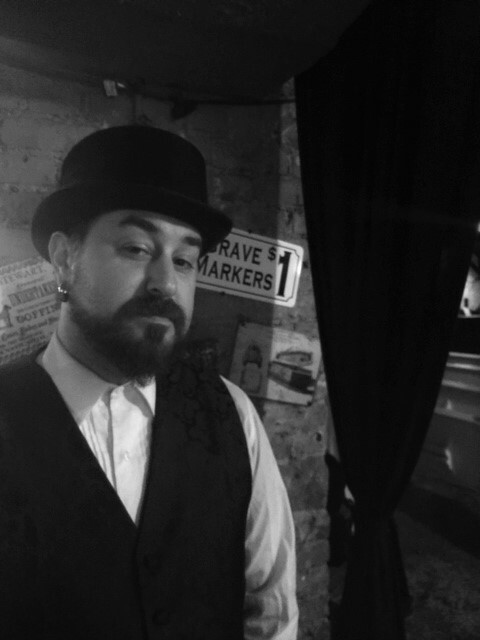 Join real ghost hunters for an evening of spirited tales within Seattle’s unique neighborhoods, as they take you on a guided tour of some of the cities most haunted sites, including our very own section of Seattle’s famous underground. These 90-minute tours include information about ghosts and offer some of the evidence collected during investigations. Each tour explores the past of some of the oldest buildings in Seattle and will, perhaps, give you the opportunity to encounter some residents whose earthly forms may have departed, but of course, never left. Turn sideways on mobile to read employee bios! Ross founded Spooked in Seattle in 2004 and is currently the president of AGHOST - the Advanced Ghost Hunters of Seattle and Tacoma. Ross has been investigating the paranormal for more than 20 years. His passion for exploring the unknown has taken him across the globe, and has inspired him to author several books, magazine articles and blog pieces. Throughout his career, Ross has appeared on a number of programs, books, magazines, documentaries and radio shows. His favorite horror movie is The Woman in Black and his most memorable paranormal experience was in the Seattle underground. One of the original members of AGHOST (Advanced Ghost Hunters of Seattle Tacoma), Mark has been in the Seattle area since 2001 and is responsible for the day-to-day operations of Spooked in Seattle. June is one of our most artistic employees! She sings opera, is a photographer, and makes jewelry all while working as the vice president of AGHOST and working as an admin assistant at Swedish Medical Center. You can pick up some of her artwork in The Dead Zone Gift Shop. June grew up in Kansas City Missouri and loves all horror movies! Megan is a native of Butte, Montana. She moved to Seattle in 2010 to pursue her associate's degree in Baking and Pastry. She is now currently working on her masters of Human Nutrition. Shes a wimp when it comes to horror movies but loves Beetlejuice, Hocus Pocus, and The Rocky Horror Picture Show. She once went to yell at a customer for going into an employees only area when she discovered there was no customer there at all. Like Raisin, without the sin. Rai is originally from New York. While she's lived many places, including Pennsylvania, Kentucky, and Tennessee, she has finally found a place to call a permanent home in Seattle. She loves offbeat history and this city has some of the weirdest history of anywhere she's called home. Besides weird history she loves bad jokes (especially puns). They are so punny!